What once started as an anonymous underground project with stamped white labels and a clever take on sampling, has since then unfolded to be one of the longest-running and most successful teams in current dance music. Nurtured by the sounds of the past and blessed with the techniques of today, the music of Tiger & Woods always kept evolving in and around the tropes of disco, house and boogie. Celebrating the 10th anniversary this year, Marco Passarani and Valerio Delphi managed to arrive at album number three. A.O.D. (adult oriented dance) is inspired by the faded buildings and images of discotheques on the Italian countryside, the romantic start and bittersweet endings of summer, beach life and the excitement of travelling through the landscape to get to aforementioned temples of dance and subsequently the morning after. Except for the 100% sample-free 1:00 am, everything on A.O.D. is based on a quiver of cleared samples from the Roman institution that is Claudio Donato and his Full Time and Goodymusic emporium. 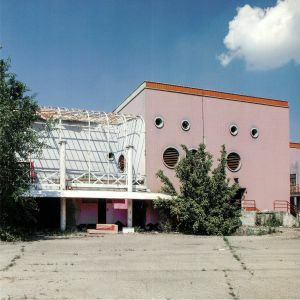 In Tiger & Woods hometown Rome, the often very electronic and futuristic sound of Italo Disco had a different twist. Much more boogie-based and influenced by the song-writing styles of New York City’s dance scene, it played in a league of its own. Tiger & Woods use these materials to take them apart, out of context and into contrasting areas. Molding something completely new, one gets fooled to recognize Sade songs that aren’t, pop music instrumentals and a reprise of memories that never existed. A ride through ones brain in a convertible with an Italian FM radio station playing in the background. Or to use less stiff poetry: a chill out album you can dance to or a dance album you can chill out to. Romanian production duo Khidja present their first EP for DFA. With four tracks of inner city insomnia, The Middle Of The Night soundtracks the realm between being half awake and asleep. With jagged and pulsating synths and dubbed out howling vocals, we are left disorientated in the underground tunnels that connect the clubs of Bucharest, London, and Berlin. Summoning the spirits of Kraftwerk and John Carpenter, they cast a spell on the dancefloor that is a perfect addition to the ever-evolving DFA roster. 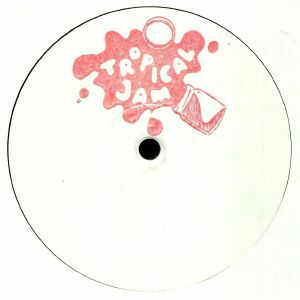 It’s been a fair old while since we last heard from Tropical Jam, the sneaky re-edit imprint from Vakula and Aussie crate digger Daniel Lupica. Surprisingly, this is the duo’s first 10-inch missive of humid, floor-friendly revisions since the summer of 2018. They begin in a suitably sunny mood, offering up an on-point rearrangement of a cheery, sax-laden Afro-synth workout that sounds like it originated in the early 1980s. The A-side also boasts a second bubbly synth workout, possibly of a South African cut from the same period, where jaunty Clavinet lines and male/female vocals rise above a sparse but funky groove. Side B, meanwhile, contains a more Balearic-minded electronic cut rich in lo-fi drum machine beats, dreamy chords, chiming lead lines and glassy-eyed vocal snippets. 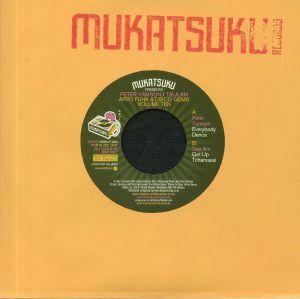 Volume Ten of the Mukatsuku label’s Afro Funk & Disco Gems series has two more tracks released for the first time on a 7 inch in their own right. First up is Peter Yamson’s 80’s afro boogie feelgood masterpiece ”Everybody Dance” taken from the Sun On Africa album (mispelt on discogs as Sun Of Africa by the way!) and licenced directly from the artist. Infectious chorus and funk groove with Roy Ayeresque vibes and punchy brass. 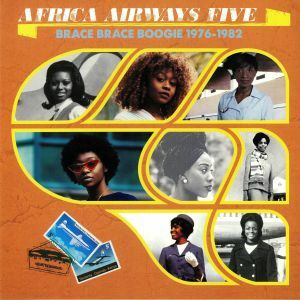 On the flipside from 1981 we get Get Up Tchamassi from french African group Tala AM which is a funk drenched heavy slap bass boogie mostly instrumental affair with female vocals and great sax playing and catchy rhythm guitar.